So you booked your city break in St Petersburg and ready for adventure…but what are you to expect of Saint Petersburg? What is the weather going to be like? What are the people going to be like? What things can you do in this new city? Today’s blog will attempt to answer all these questions and you are welcome to ask more! Located in the North of Russia, St Petersburg has a humid continental climate and may be colder than its sister Moscow.This is mainly because of the wind coming from the Baltic Sea, the Neva river and its multiple systems of canals weaving through the city. They give the city its unique character as well as a good reason to insulate your neck with an extra layer of clothing. The high season starts in May and lasts till the end of September. During this time the weather is usually mild and warm and you can afford spending most of your holiday outdoors. Winters are cold. There is hardly an exception from this icy rule. However, it is an amazing opportunity to enjoy the snow, go ice-skating or participate in Maslenitsa celebrations and wear the renowned Ushanka hat without attracting too much attention. So do not be scared! One very special thing about St Petersburg is its season of white nights. Confusingly, it is impossible to predict what time of the day/night it is outside during this time but it is the most eventful season for festivals, entertainment and streets bustling with people. White nights usually occur from mid-June to early July. An exciting time to be in St Petersburg! If you are having a walk around the city and do not feel like going to the restaurant, Nevsky prospect is teeming with traditional Russian food shops. Among them are Stolovaya №1 (DiningRoom №1), ChainaiaLozhka (Tea Spoon) and Teremok, the pancake house. Unbelievable but full lunch prices start from just 2 pounds here! As for the tipping, there are no strict rules about it in Russia. Service charge is not usually included in your bill, so the decision to tip or not to tip is always up to the customer. The reasonable amount for a tip is around 10% of the sum of the bill. As in any other city, the city centre is the most preferable place to stay. Choosing the location, you need to remember one important thing: every night the main bridges of the city are openedto let tall ships move though the river. It is an amazing view which attracts many tourists to the city and is known to be one of the most popular moments for proposals…however if you live on the other side of the bridge, you may be restricted to how to get home. The timetable of the bridge openingsis always available on-line and they usually last for about 3 hours. One way out can be the night underground. Another thing to know is that there is no reason to be wearyof 3-star hotels in the city centre. Some of them are located in old buildings which affects their star rating but most of them are lovely places to stay with excellent service. Here at IntoRussia we are happy to book a perfect accommodation which will suit your needs and leave a wonderful impression of the city! 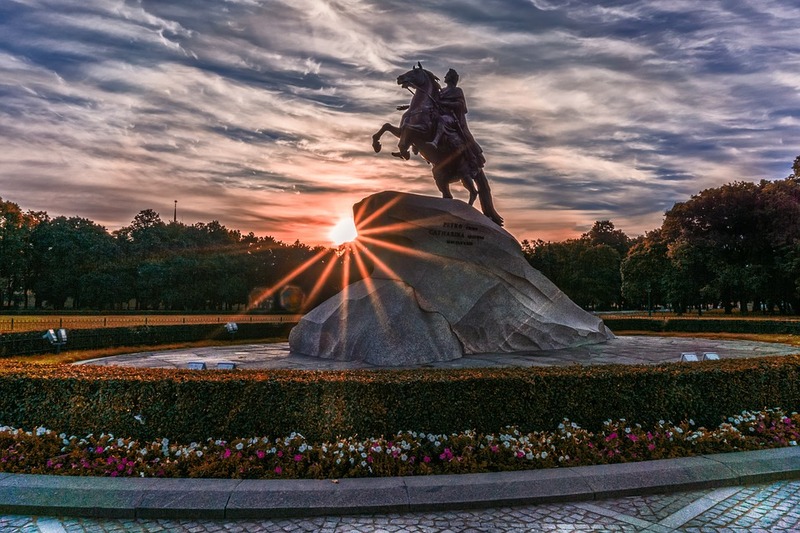 St Petersburg is teaming with cultural treasures and never leaves art and history enthusiasts disappointed. It is home to the world famous Hermitage with the works of Raphael, Leonardo da Vinchi, Goya, Van Dyck, Rubens and Rembrandt; The State Russian Museum, the collection which holds important masterpieces since 1945, from, amongst others, Jasper Johns, Pablo Picasso, Andy Warhol and Kazimir Malevich; The Peter and Paul Fortress with the burial ground of the Russian Imperial family and many more. We are happy to organise your excursions in St Petersburg. Just let us know about your interests and we will create a perfect personalised trip for you. We hope to see you soon in St Petersburg!